Sarasoft A - Goodmaid Chemicals Corporation Sdn. Bhd. 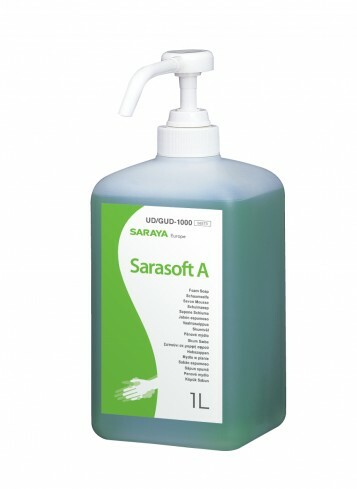 SARASOFT A is an antibacterial deep cleansing hand soap with smooth foam. It is made from natural soap that rinses faster than synthetic detergents. Thoroughly and quickly remove dirt and soil from hands. How to use : Use as is. Wet hands, dispense soap into palm, rub into all parts of the hands for 15-30 seconds, and rinse with water. Rapid acting hand disinfectant with moisturizers. Alcohol-based, perfume free hand disinfectant. A quality foaming hand soap designed for everyday use.